Kazley is a 10-month-old baby full of love and life. Due to an on-call Doctor refusing to help when Kazley was going into distress during birth, Kazley’s birth resulted in a brain injury. Kazley was in distress for over a half hour and was not breathing when she was born. After resuscitation, she was rushed to another hospital to be cooled for 72 hours then rewarmed. Due to Kazley’s trauma at birth she lost her gag reflex, her sucking was poor and she could barely swallow her own saliva. She also has hearing loss in both ears and a vision impairment. Her muscles were so tight we could barely put her arms above her head. She would scream in pain in the car seat and high chair. I was told she needed a G-tube because they didn’t think she would ever be able to take anything by mouth. Instead of doing what the Doctors suggested, I did research and looked for anything that could help my daughter. That’s when I found Sara’s Garden. That’s when I found hope. We took Kazley to Sara’s Garden for Hyperbaric Oxygen Therapy (HBOT) as soon as we could, the results were amazing. Kazley was eating a whole jar of baby food by MOUTH after her third treatment!!! She’s currently eating a minimum of three jars of food a day by mouth. She does tummy time and is good in the car seat and high chair. She has started tracking with her eyes and smiling as a reaction to playing. She has even recently started to take very small amounts of juice by mouth. We were even able to move her arms freely above her head. Kazley was recently diagnosed with Cerebral Palsy. Even though she has made huge strides, we have a long road ahead of us but with love, hope, and prayers there will always be a light at the end of the tunnel. Kalzey has already made me so proud and has giving me such inspiration. She shows me she has such great determination to do what she wants. I know only my daughter will decide what she will and will not do in this life and I will stand by her every step of the way. We saw significant changes in Kazley after her first round of HBOT that we would like to continue with treatments. In order to accomplish this, we are asking for your help. Hyperbaric Oxygen Therapy has been very successful in treating individuals with Cerebral Palsy. 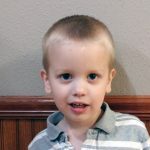 However, in the United States insurance companies do not recognize these treatments as being therapeutic for the treatment of CP and therefore often will not cover the cost for treatments. That is why we could really use your help. HBOT for Kazley is only $100 per treatment at Sara’s Garden. However, since our plan is for her to receive at least 40 HBOT treatments per round of treatments, that cost adds up quickly. If you could assist us with the cost (or even just part of the cost) of a single $100 HBOT treatment, it would help reduce our overall expenses greatly. 100% of the funds received go into an account in Kazley’s name and will be used for her treatments. Any contribution made would be considered a tax-deductible donation as Sara’s Garden is a 501(c)(3) non-profit facility. Checks can be made out to Sara’s Garden with Kazley’s name on a sheet of paper accompanying the check. Please do NOT write her name directly on the check. You can also donate online via credit card by clicking the “donate now” button below. 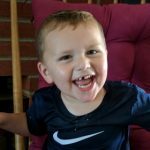 We cannot thank you enough for considering to help Kazley!